Ford Focus long-term review | What Car? Emissions, emissions, emissions. It’s all that seems to matter in these days of punishing benefit-in-kind (BIK) tax bands. Fortunately, mainstream car makers have been on the ball for quite a while – take the Honda Civic 1.6 i-DTEC and VW Golf 1.6 TDI. Both have sub-100g/km CO2 emissions, which keeps company car tax to a minimum and means VED is free. 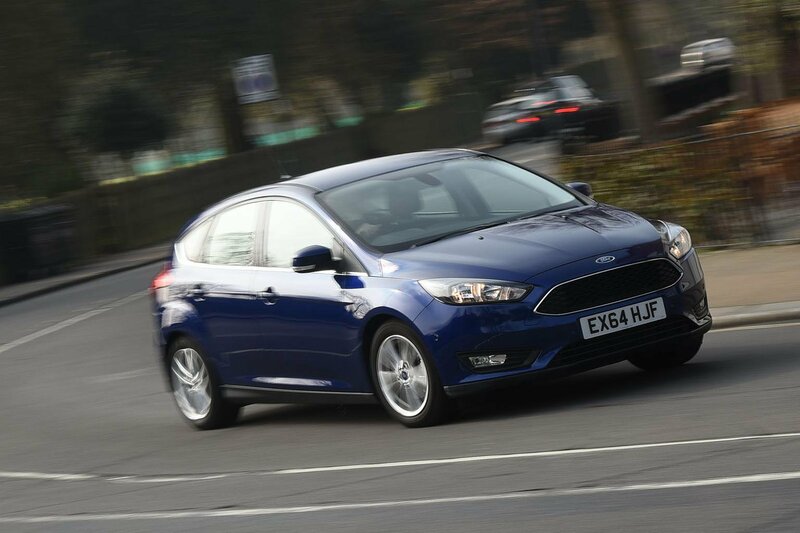 Ford has also been clued up on CO2 for several years, with a clean 1.6 TDCi engine in the Focus. That unit is still available in the facelifted hatch, together with a new, smaller, engine – a 1.5 TDCi, emitting 98g/km. We’ve already run the diesel Civic on the What Car? long-term fleet, and still have the Golf, so thought it was time to put the Focus to the test. Our 1.5 TDCi car is in popular Zetec trim, which adds 16in alloys, electric, heated door mirrors, a heated windscreen, a DAB radio and air-con. The Deep Blue metallic paint costs £525, while Ford’s Sync2 (which ups the 4.2in touchscreen to an 8.0in screen and adds Bluetooth and voice control) is £500 and the Convenience Pack (front and rear parking sensors, active park assist, Tim’s already loving the simplified centre console and large touchscreen powerfold mirrors and all-round electric windows) is £850. All in, that’s a considerable £21,370. The facelift brings subtle changes to the exterior, including a cleaner look up front and more significant tweaks to the cabin. The biggest change inside concerns the new infotainment system, which now features much simpler and more user-friendly controls than the previous car’s button-strewn chaos. Otherwise, things remain unchanged, which means the driving position is superb, thanks to the well laid-out pedals and the wide range of seat and steering wheel adjustment. There’s enough room for four adults inside; five will be a squeeze, but that’s something we’re going to test a few times over the next 12 months. There’s certainly plenty of space in the rear for my daughter Amy’s child seat, although the boot isn’t quite as big as the Golf’s and is significantly down on the Skoda Octavia’s. Again, I’ll be testing its ability to swallow of all Amy’s paraphernalia shortly. So what’s the Focus like to drive? Well, the engine is noticeably quieter than the Golf 1.6 TDI’s on start-up and remains hushed until you rev it past 3000rpm. It also has a fair bit more pulling power than the VW’s engine which, together with an extra gear ratio (six against VW’s five), makes motorway cruising a very relaxed affair. Turn off the motorway and head for a twisty B-road and the Ford is also much more nimble than the VW. Quicker steering plays its part, but the ride and handling are just about spot on. Sure, the ride is firmer than the Golf’s, but most bumps and ruts are dealt with effectively and the body stays impressively flat through bends. It’s definitely more enjoyable to drive. 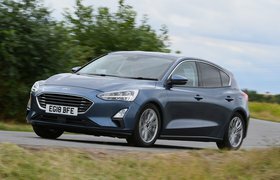 It’s early days yet, but we’re fairly optimistic about the Focus’s ability to sip fuel. We initially had trouble getting the Golf to do more than 50mpg, but already the Ford is hovering around 55mpg. I’m pretty confident that we’ll be able to push that beyond 60mpg over the next 12 months.